I was watching Anthony Bourdain’s show last night about Berlin, and his section on the divided city and the Berlin wall reminded me of some of my favorite movies from that era that dealt with the cold war usually involved the Berlin Wall. My absolute favorite from that era was called The Contract. It aired on Qatar TV, we recorded it, and I watched it over and over and over. I loved that movie so much. I just looked it up today for the first time on IMDB, and was surprised to learn that it aired as a 3 part mini-series. The version I saw was cut together to form one long movie. It really captured the oppressive atmosphere on the Eastern side of the Wall. And the climax of the movie has the agent we’re following trying to sneak father and daughter across the wall. In a movie where things have not gone according to plan from the beginning, it’s not a surprise that their plan to cross the wall also goes very wrong. I really wish there was a way to see it now, but according to that IMDB page it was never released on VHS or DVD, so you can only see it as TV re-runs? Man, that’s a crime. The other favorite of mine is one you’re more likely to be familiar with. It’s Gotcha! It’s the more fun version of playing spy with a kid getting in over his head in East Berlin after being lured by a girl. No mention of The Hunt for Red October?! This! It’s always the first one that springs to mind when I think of cold war Berlin, the wall etc. Great film, great book. I can’t think of the name of the movie but it stars Joseph Cotton and Orson Welles. Great post WW2 cold war movie. The Third Man? That movie is awesome! Dr. Strangelove (my second all-time favorite movie), Fail-Safe, Seven Days In May, all great at building up tension, of also pointing out that if we keep racheting up tensions, eventually something is going to snap that we don’t want to snap. A few James Bond movies would fit in here too. Movies that were pitched at my '80s Kid demographic: Amazing Grace and Chuck, Russkies, and the Head of the Class TV movie where they all go to Moscow. They helped me know that, yeah, I was probably going to die with everyone else on the planet in nuclear hellfire, but I should ALSO know that those regular Russian folks were a lot like us, and maybe none of us ought to get blown up in Mutually Assured Destruction. And maybe we could do something about it – peace, that is – even though we were just kids. So, with respect to @BrianRubin’s suggestion above, I have two favorites. Directed by Pawel Pawlikowski. With Joanna Kulig, Tomasz Kot, Borys Szyc, Agata Kulesza. In the 1950s, a music director falls in love with a singer and tries to persuade her to flee communist Poland for France. Wait…did I say just two? Directed by David Leitch. 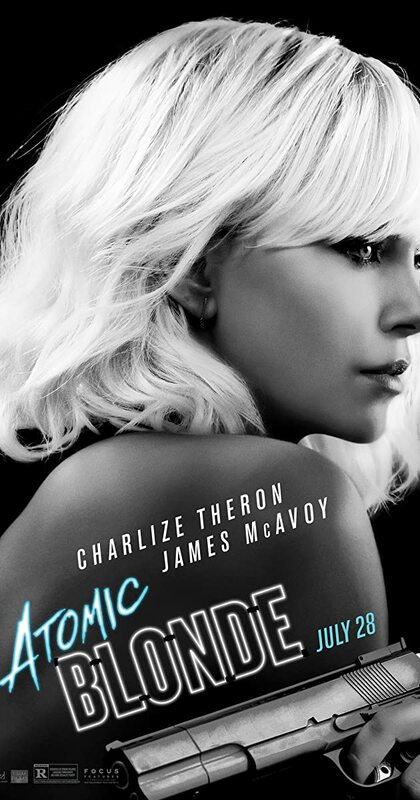 With Charlize Theron, James McAvoy, John Goodman, Eddie Marsan. An undercover MI6 agent is sent to Berlin during the Cold War to investigate the murder of a fellow agent and recover a missing list of double agents. The Bedford Incident and Fail Safe are both great. And absolutely brutal. Also Three Days of the Condor, the ending of which is remarkably prescient. I freaking love that movie. It’s about reading books! Hunt for Red October is a favorite as well. Terrible Russian accent and everything. Atomic Blonde is stylish as hell. Not sure how I’ll feel in 20 years, but today I love it. The 1990 made-for-HBO movie “By Dawn’s Early Light” is fantastic if you like your Cold War goes hot setting - and it’s got a fantastic cast (Rip Torn, Powers Boothe, bloody James Earl Jones!, and loads more). It’s pretty damn bleak (not quite Threads bleak though), but if you always wanted someone to make a feature length version of the intro scene to War Games, this is it. Not technically cold war era, but Goodbye Lenin! Red Dawn is one of my favourite films of all time. Yes, I almost went with Firefox too.